FIBER BENEFITS is a comprehensive, all-natural fiber-based supplement designed to promote regularity and to provide gentle, cleansing support when needed. 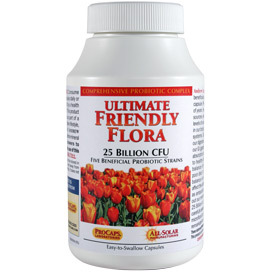 It is designed to support and maintain the health of several different internal systems. 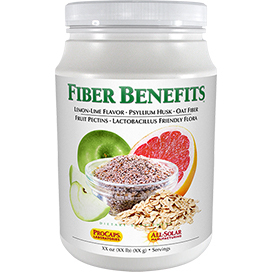 FIBER BENEFITS is a unique blend of 5 different sources of fiber, providing both soluble and insoluble (bulk) fiber. 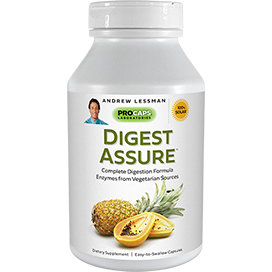 In addition to offering the benefits of fiber from Psyllium Husk, Oat, Apple, Grapefruit and Guar, it also contains Lactobacillus sporogenes, to support a healthy gastrointestinal tract. Dietary fiber provides a myriad of healthful benefits and is often overlooked as an important component in the American diet. 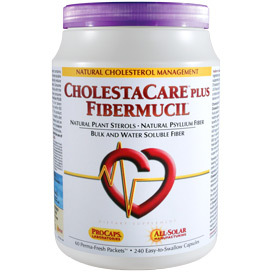 The insoluble (bulk) fiber in this product also helps to "scour" the digestive tract, removing undigested food, debris and other by-products. Fiber also speeds gastrointestinal (GI) transit time (the time it takes for food to pass through you) and, as a result, can help remove digestive by-products sooner. Fiber can also provide a natural feeling of fullness to support most diet plans, while the Apple and Grapefruit pectins, when taken in combination with a healthy diet, also help to maintain healthy blood sugar and cholesterol levels already within the normal range. We include L sporogenes to support the beneficial proliferation of the healthy bacteria in your intestines. The natural flora (good bacteria) in the GI tract also provides additional health benefits, which include supporting the absorption of vital nutrients. FIBER BENEFITS not only provides the fiber that is so often lacking in our modern diet, but also delivers our beneficial flora to support the health of the gastrointestinal tract and several other internal organs and systems. The natural, fiber-rich contents of this product are gentle, but highly effective. Mix one scoop with 4 to 8 oz. of water and drink promptly. For best results, start gradually or as directed by a health care professional. 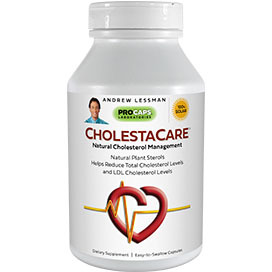 This natural product is most effective as part of a healthy, fiber-rich diet and active lifestyle, along with one of Andrew Lessman's multi-vitamin-mineral formulas. NOTICE This product should be taken with at least a full glass of liquid. Consuming this product without adequate fluid may cause choking. Do not use this product if you have difficulty swallowing. If you feel abdominal pain or unexpected gastrointestinal discomfort when using this product, discontinue use and consult a physician. Initially, when using this product, evacuations may not occur until the second day, hence you may experience a temporary feeling of fullness. As with any grain product, inhaled or ingested Psyllium Husk may cause allergic reactions in some individuals. If you are taking prescription medicine by mouth, take this product 2 hours before or 2 hours after the prescribed medicine. Finally a product that keeps on working! I have been using this wonderful product for 3 months now and it is the best! Most products "stop" working after a few weeks but not this one. I only take "one-quarter" teaspoonful - not the recommended amount. I get up in the morning, drink one glass of water - then mix 1/4 tsp in a glass of water, drink it and then follow with another glass of water! I sip my morning coffee. I wait 2 hours to eat and take my vitamins, etc. I am 69 yrs old and weigh about 140 (5'3"tall) I started taking just the tiniest bit of fiber for a week and then slowly increased to 1/4 tsp! In the beginning I did have to use a laxative to keep things "moving" as I was terribly constipated but haven't had to use a "pink" laxative pill in over two months! Sooooo happy!!! Oh, and my husband says it's great for him, also. He uses 1/2 tsp every morning (5'9" and 195 lbs.) Don't stop making this product! This is the only "supplement" that I can't live without. It's been 6 years at least - probably longer - please don't ever stop making this! I put a scoop or two in my morning smoothie with protein powder, blueberries and half a banana, and then drink it all down with a straw. Absolutely painless. I've tried other fiber blends, but something about this is magic for me. Occasionally I'll stop taking it, or forget it when on a trip, and I never feel "right." My only suggestion would be to make it in a berry flavor, rather than this lemon/lime one. I have always struggled with constipation, I thought there was something wrong with me but the doc says I just have constipation IBS-C - This stuff is the FIRST product that has worked for me, I take a scoop 3 times a day and for the first time in my whole life (and I am over 40) I now go 2 times a day, I have NEVER done that. I cannot live without this product. Must try if you struggle with BM. My husband does not have constipation and uses it and he LOVES it too! Thank you Andrew. I take 9 other supplements by Andrew and they are great so I expect this will also be a 5-star. Another great solution for mixing the product is to mix it using the Blender Ball. The Blender Ball comes with a lid and holds 20 oz of liquid. It has a wire ball inside that mixes product beautifully. The Blender Ball is super easy to clean which makes using it fun and you can drink directly from the cup if you want. You can get the Blender Ball from Bed Bath&Beyond. If you don't have these stores in your area you might want to try amazon.com. I mix my Secure Meal Replacement (by AL also) in it every morning and take it to work and life is good. Now I will add my DFB to my Secure in my Blender Ball. I ordered DFB b/c I don't go to the bathroom as often as I would like even with using AL's Fibermucil. The next product I will add to my arsenal is the Friendly Flora. Andrew, we love you for caring so much about our health. Thank you. System for mixing the fiber and water. I would recommend Andrew enclose some sort of "shaker" cup for mixing the powder with water, thus eliminating the only real complaint some folks seem to have. If possible, customers should be tracked, so only 1st time users would be sent the shaker, thus enabling the company to keep the cost down. Just a thought. My husband and I use the DFB daily and we love the results. I look forward to drinking it in the morning with my daily vitamins. We have been using this product for several years and would not go without it. There is a challenge in mixing it up but we use our water bottle 2/3 full and add DBF to is using a paper made funnel and putting the cap back on and vigorously shaking it. It comes out perfectly smooth without clumps every time. You just have to make sure you drink it right away after preparing it. The benefits are wonderful. I will not go without it. Thank you Andrew. I have tried them all in the last 20 years!!! I have tried at LEAST 40 diff. fiber products, pills, drinks, oh goodness you name it and this one BEATS THEM ALL!!!! I take 1 scoop in the AM and one right before bed and I move at least once a day, that may not sound like much to you but take it from someone that sometimes only "goes" every 3-10 days and that is a miracle in itself! Put 5-6oz in a glass, still well and chug down, no it's not the best tasting but just get it in you, it's not about flavor and taste it's about getting it in you. My nutrients absorb better, I have more energy and I lost 5lbs that I didn't even know I needed to lose.....BONUS!! I workout and eat healthy so this just adds to my style of living. GET IT....you will not be disappointed! My husband and I (both 75) have been using this product for many years. Sometimes we have to work a little to dissolve it, but the benefits far outweigh the extra stirring. Neither of us take any prescription medications and I truly believe this product is one of the reasons. I once heard a doctor say "death begins in the colon" and I do believe that. Proper elimination is key to good health and this is the best product on the market as far as we're concerned. We take it with us when we travel and never want to be without it. If I could give it ten stars, I would!! Many other fiber...products have left me feeling bloated, and were very slow to work. This product works quickly, and has helped restore me to normal elimination. I will never be without it! Thank you, Andrew, for creating this wonderful product. I have found that putting powder into an 10 or 12 once glass and then filling the glass under a fast running cold water faucet and stirring at the same time is most efficient method for me to completely mix this great product. I stir well before drinking and then fill the glass half full again and lightly stir and drink the additional water. Yes there is sometimes additional residue on the glass if I do not take the additional half glass of water. My wife and I never go anywhere without our Daily Fiber Benefit, the other products in capsule form are so inadequate and do not get the job done. 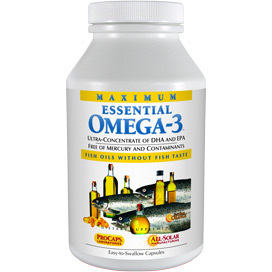 We presently are only using one serving per day in the evening about an hour before going to bed. We have been doing this for years now and find it very effective. I am a Health Care Professional and we sell only the highest quality supplementts from A-Z. However, in regard to other similar products, Daily Fiber Benefits is the best I found on the market. You can find numerous products that have a few of the items listed in Daily Fiber Benefits, but none that has so much ingredients and so much to offer individuals that are interested in improving their health or maintaining good health. Daily Fiber Benefits is also excellent in regulating yourself. It has a good flavor and if taken prior to eating, it also can help you from over eating and possibly help you eliminate that unhealthy desert. When eating out, you might even find yourself taking home left-overs.I have nothing to gain by writing this review, since ProCaps Laboratories will not sell to other companies like mine. I wish I could sell the product, but I cannot. However, I do take this product every day and highly recommend it to anyone. 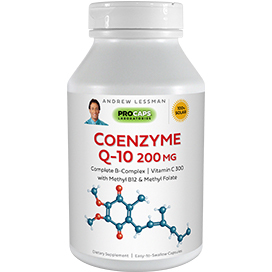 Everything that Andrew Lessman puts into this product is formulated to maintain good health. I use a little whisk and it mixes just fine. I have been using this for years. Still take every day as nothing comes close to Andrews formula...do not like new packaging..hard to get my hand in the tiny container..do not like the new scoop but saved the old one..still use the amount from old containers instructions...so..other than the container..I'm good.Just very happy he didn't discontinue this product..and I can only hope he never does...keeps me healthy every single day! Before I purchased DFB, I read most reviews and a lot talked about the "clumping" of the powder when mixing. I was hesitant, to say the least, because I tend to gag especially when drinking stuff that doesn't go right down. Well, I'm glad I made the purchase, because it really does do what it says it will. My solution to the clumping problem was to use my magic bullet mixer and mix it up quickly. It goes down smoothly, no clumps or thickening. It's still swirling around in the cup as it goes down the hatch! I recently purchased this product to use as a substitute for Metamucil.I will continue to use it, the only problem is dissolving it in room temperature water or cold fruit juice. It takes awhile to dissolve it but it never completely dissolves.There still are small clumps that I have to break up with the spoon.When I drink it there is a film left on the glass.Is anyone having the same problem? Would appreciate any suggestions. This product used to be the former Daily Fiber Benefits. Comparing the labels one can see the formula has changed. I no longer find it as effective as the previous formula. Sorry, I love Andrew's products, but this stuff is nasty. The first time I tried it, I made the mistake of stirring for too long, and it became a thick goo that made me gag. And no relief, after all that. The 2nd time I tried (3 days later) I had to strain it to get the lumps out before I could drink it down. We'll see if it works. I'm not sure there will be a 3rd time. I don't see me continuing to take this when I dread it so much. Other Ingredients: Fructose, Natural Lemon-Lime Flavoring and Citric Acid.